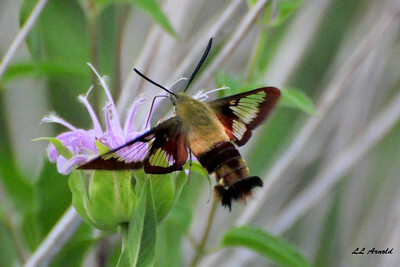 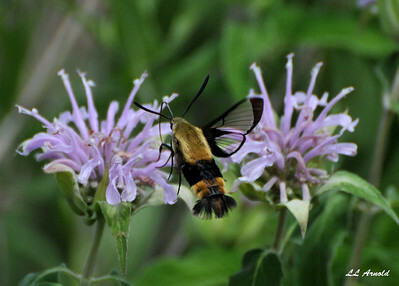 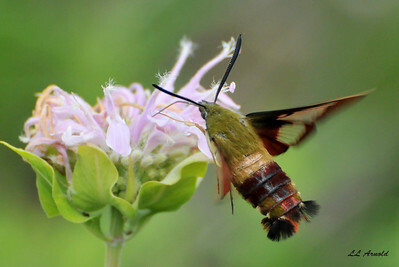 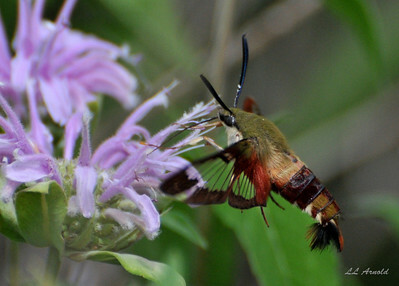 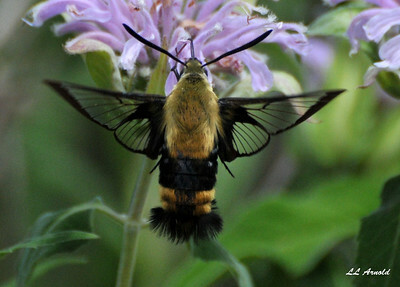 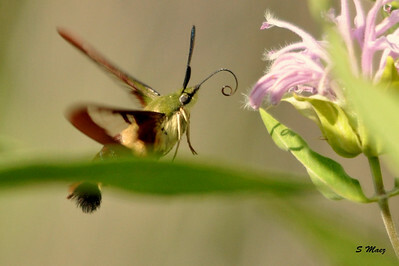 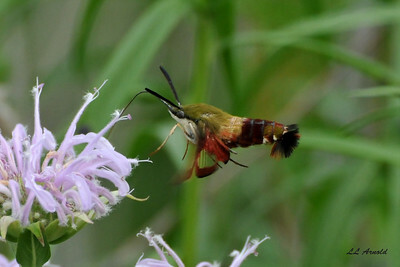 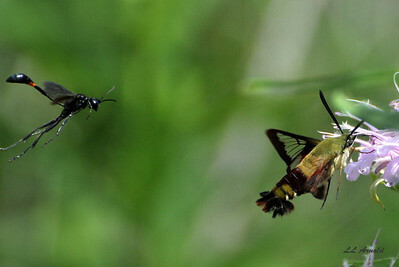 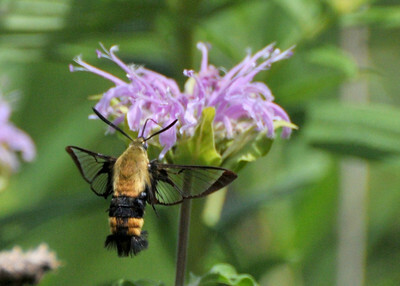 The Snowberry Clearwing Moth is a small beautiful hummingbird moth which more closely resembles a large bumblebee rather than a hummingbird. 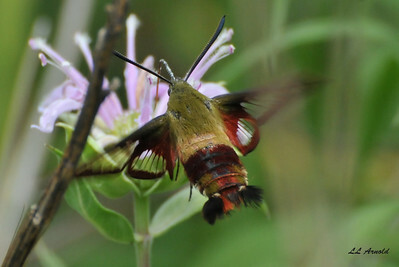 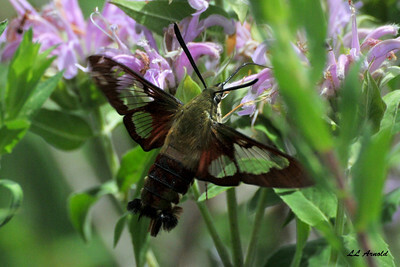 Like other hummingbird moths, this one flies during daylight. 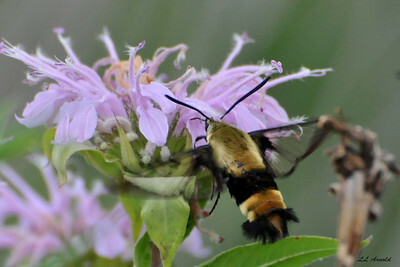 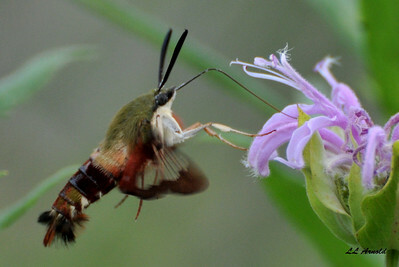 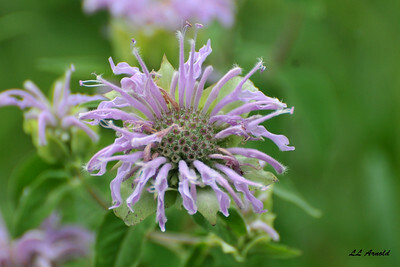 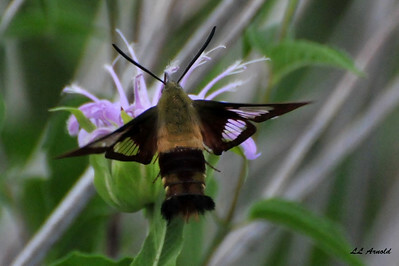 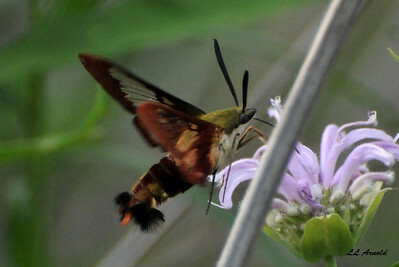 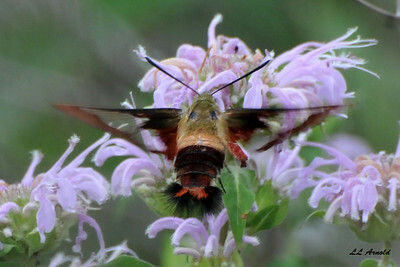 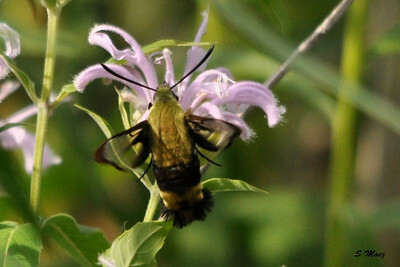 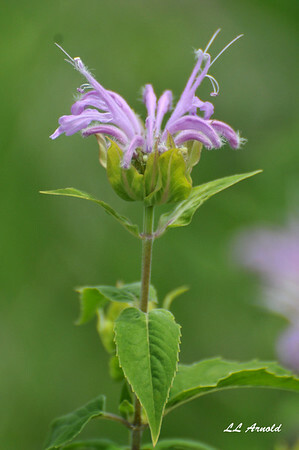 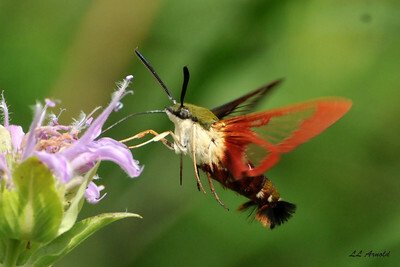 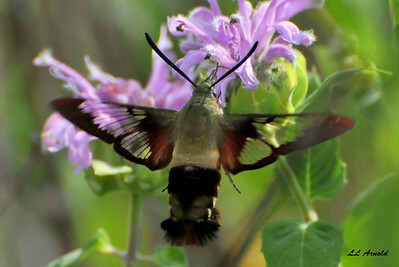 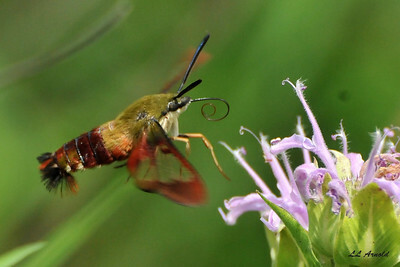 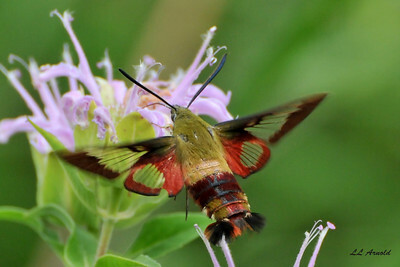 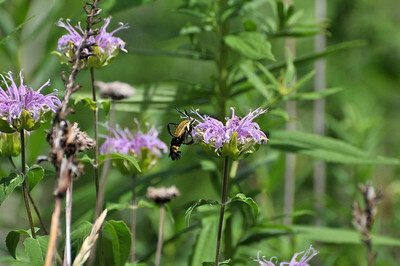 This is a closer to real size Snowberry Clearwing Hummingbird Moth, it is small. 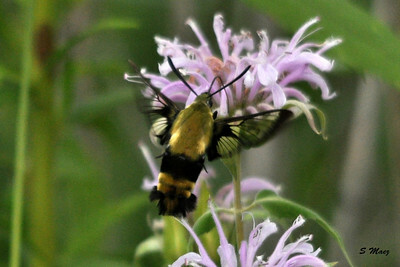 It goes flower to flower hovering.